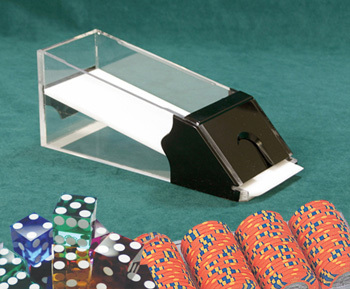 Table Accessories | Matsui America Inc.
Our accessories consist of multiple table requirements such as cash boxes to dealing shoes, everything you need to draw your customers in and make them feel the quality of your casino. All of our products are professionally tested equipment, and receive great comments from all of our customers' croupiers, to ensure a successful working table. If you cannot find your specific accessory please do not hesitate to contact us at: sales@matsui-americainc.com.